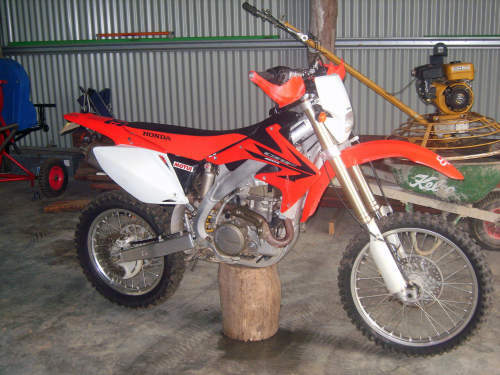 This Used HONDA CRF450R motorbike for sale Honda CRF450x in great condition 2006 model. Rego unitl 14th Dec 2009. Spare front tyre, fork seals just done. Quickshot Carburetor pump.